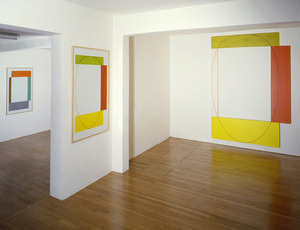 Robert Mangold (born 1937) lives and works in Washingtonville, New York. 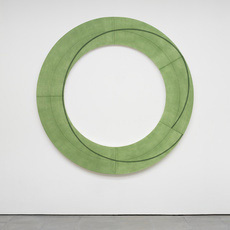 Since his first one-person exhibition in 1964, Mangold's work has been exhibited extensively worldwide, including solo exhibitions at Solomon R. Guggenheim Museum New York, 1971; Kunsthalle Basel, 1977 and Stedelijk Museum, Amsterdam. 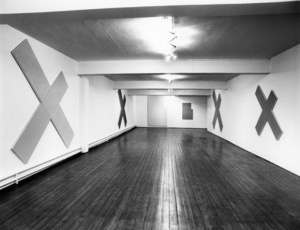 His work has been included three times in both Documenta, Kassel (1972, 1977, 1982) and in the Whitney Museum of American Art Biennial (1979, 1983, 1985). 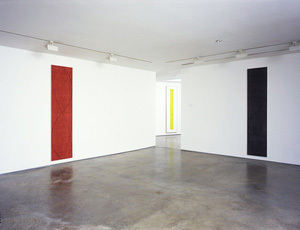 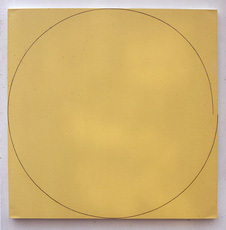 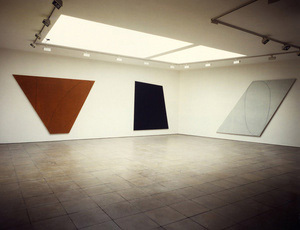 Mangold has also been exhibited in the Venice Biennale in 1993. 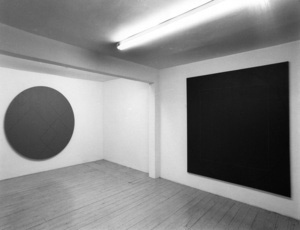 The first part of Mangold's catalogue raisonné exists in two parts, the first in 1982, and the second in 1998-99. 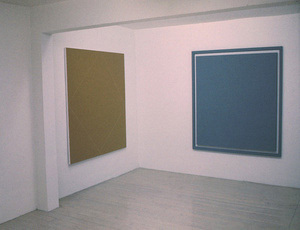 A catalogue raisonné of Mangold's prints was published by Parasol Press, New York in 2000, in addition to 'Robert Mangold', a major monograph published by Phaidon Press in the same year.